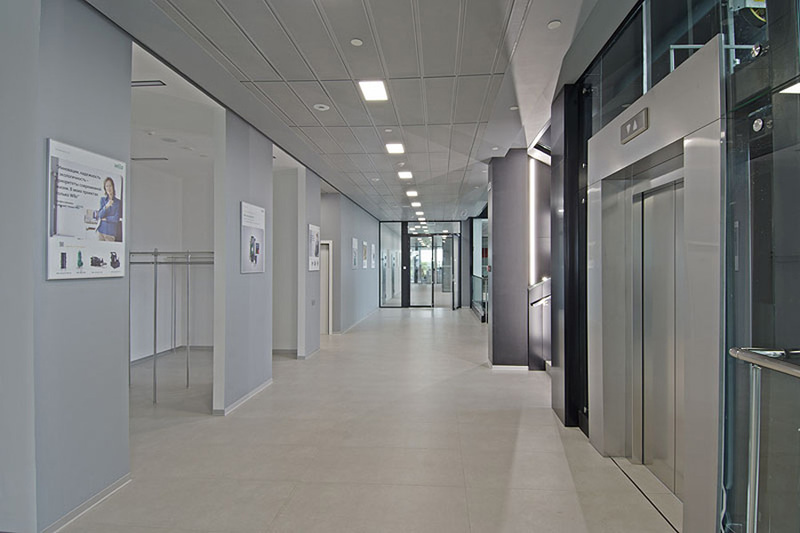 NAYADA company contributed to design of the headquarters of the German group of companies WILO. The office designed by ABD architects team is located in Noginsk (Moscow region) and features an office building attached to the facility for the assembly of pumps for the Russian market. The architects created a modern, functional space reflecting the idea of German quality and efficiency. 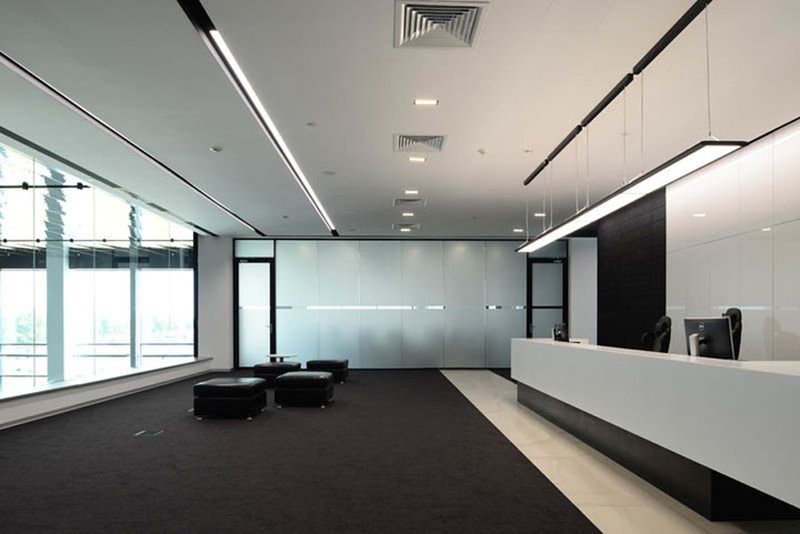 The interior emphasizes the theme of ecology and high technology which is very important for the client. The office building includes offices, works canteen, training rooms for the employees and partners. The 2nd, 3rd and 4th floors feature “open space” rooms, offices for the executives, meeting rooms and coffee points. A part of the 4th floor is occupied by the offices for top managers which are equipped with own reception and meeting rooms. 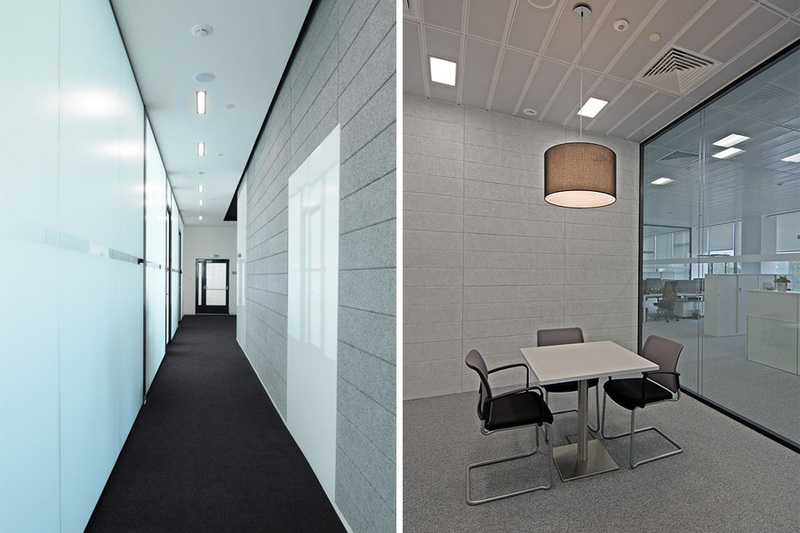 Spaces in meeting rooms and offices are divided with the use of NAYADA-Twin glass partitions and built-in single-leaf and double-leaf doors. According to the architect’s plan, black frames reflect German punctuality and add a drop of severity to the geometry of space. For the project NAYADA produced and installed over 600 sq.m of partitions of this system. 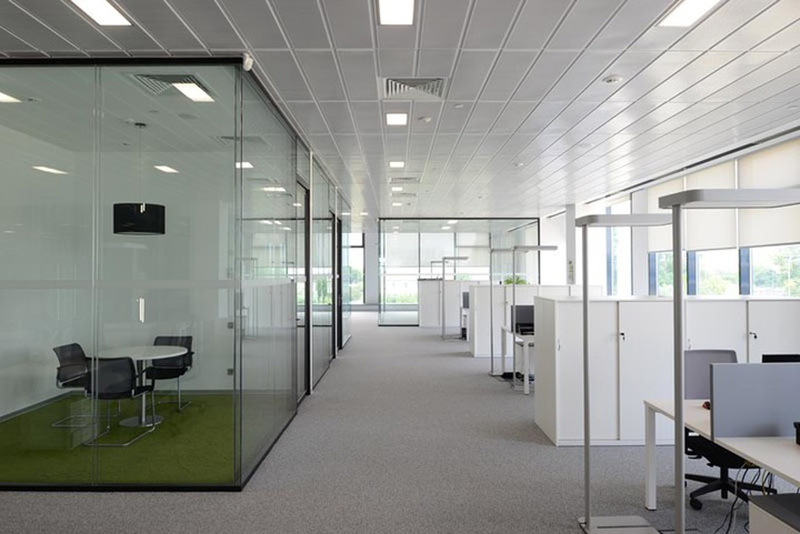 Following the design project, partitions in some offices had been additionally lined with white milky film. NAYADA-Fireproof EIW-60 fire-resistant transparent partitions with built-in double-leaf fireproof doors had been also installed on the floors to block intervention of fire and fume within an hour. The main idea of the interior is an image of water which is related to pumping equipment produced by WILO company. To express this idea, the atrium was decorated with the ceiling made from steel panels designed like a water surface like if we looked at it from below. The main staircase looks like accumulating submerged plants to hide a massive structure. When entering the atrium, the visitors feel like within the pool. The impression is supported with a fountain installed in the center of the hall to fill the room with sounds of running water and flare spots and make the air here more moist and comfortable. The rest spaces are made transparent as much as possible, and so the atrium is easily visible from everywhere. Peter Fedelman, a Chief architect to the project (ABD architects) commented: “The office style is neat but smart. Black frames provide a severity to the geometry of space. Using this effect, we wanted to express the character of high technology handled by the client, its truly German punctuality and perfectionism. At the same time there is a bright atrium that is an ambitious and spectacular space. Due to the fact that the office is located outside the town, we can see the theme of nature in the interior, for instance, bright accents in the meeting rooms, green grass, textile fixtures. 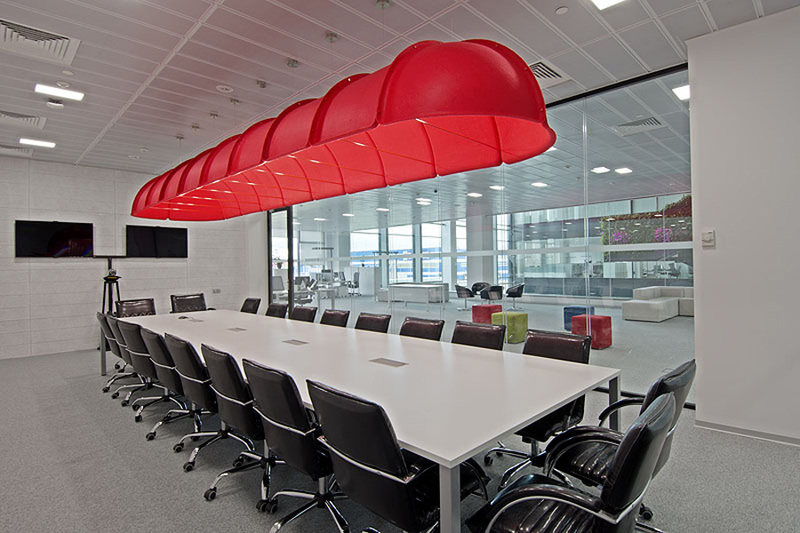 In our opinion, we managed to create a simple but stylish office”.